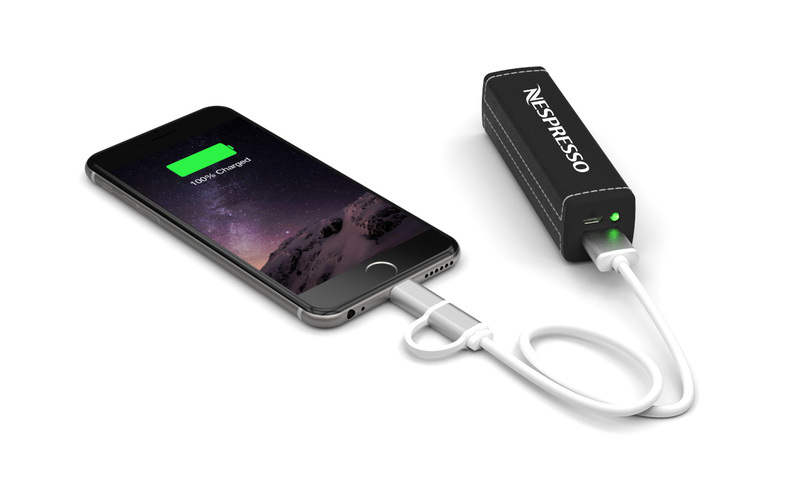 As we announced in August, we now offer Branded Power Banks. Since then, we’ve been overwhelmed by the amount of orders from our new and existing customers. Many of these Power Bank orders were enhanced with added accessories, which is what our latest post is all about. We currently offer 2 Presentation Options. 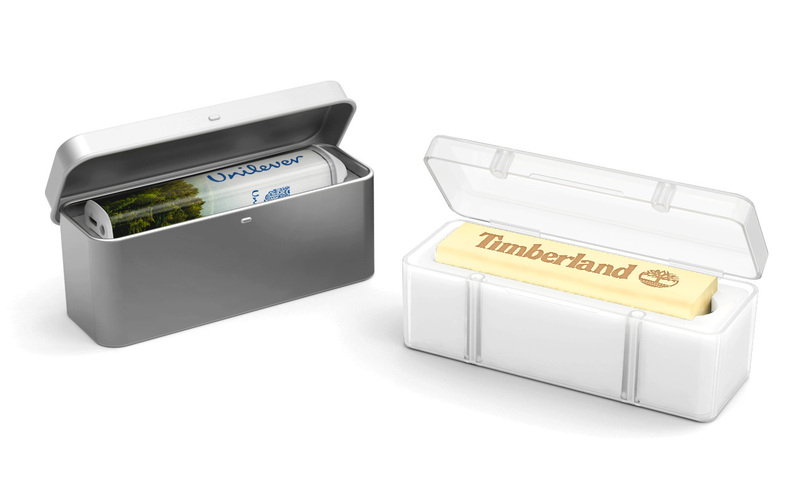 The Magnet Box Extra Large is made from a strong, translucent plastic that can house a variety of models. 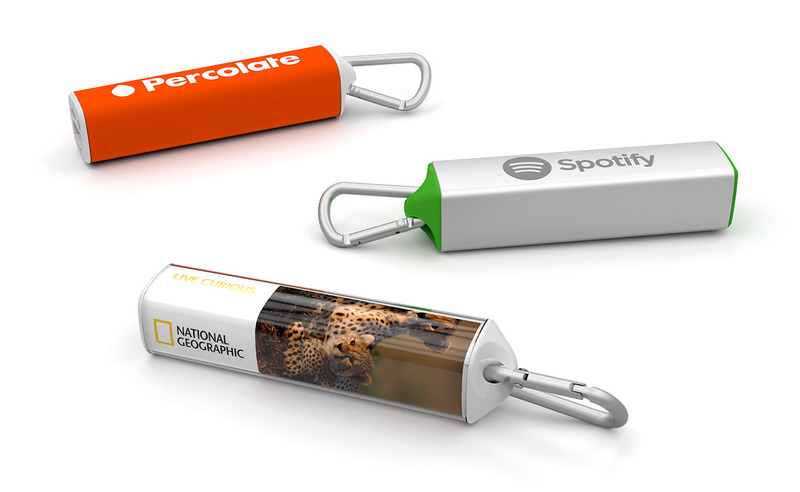 The top lid can be branded with your logo and is held securely closed by two small magnets. We also offer the Presentation Tin Extra Large which can also be branded with your logo. Both of these options are shown below. The Carabiner is the perfect addition to our Core, Element and Foto models - each of which have a Carabiner attachment loop at the base of the Power Bank. The Carabiner is made from a sturdy aluminium alloy. It has a spring-loaded clasp that easily opens and secures the Carabiner to the Power Bank. The Dual Head Cable Upgrade offers both a ‘Lightning’ and micro-USB adapter to plug into iPhone and Android devices respectively. The flexible cable also features durable anodised aluminium ends. If you select this accessory the Dual Head Cable Upgrade replaces the standard cable supplied with the Power Banks. As we do for our Branded Flash Drives, we offer both Branded and Blank Neckstraps. 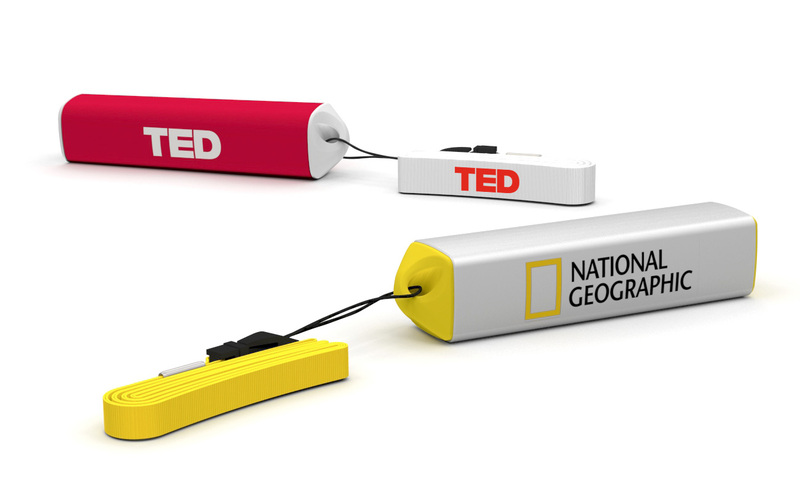 These can loop around the base of our Core, Element and Foto Power Bank models. View our range here and fill out a Quick Quote Form. A dedicated Account Manager will be in touch as soon as possible. *At the time of writing, we currently offer Branded Power Banks to organisations based in mainland Europe, the UK and Ireland. We will be expanding to the USA, Canada, Australia, New Zealand and Asia in the coming months. Thank you for contacting us we would really like to help. Please fill out our online quote form and one of our dedicated Account Managers will get in touch to help with choosing the right accessory for your chose power bank.